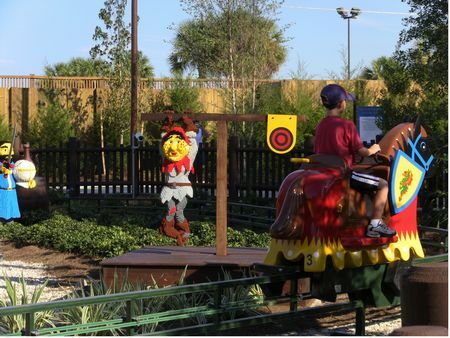 The Royal Joust is a track ride in Lego Kingdoms at Legoland Florida. While it's not the best, it is also recommended. The minimum height to ride is 36 inches. Children ride individual "horses" around an outdoor track through medevial scenes and encounter other riders simulating a joust. Children over 12 years and 170 pounds are not permitted to ride.